The Tiertime UPBOX Plus 3D printer. 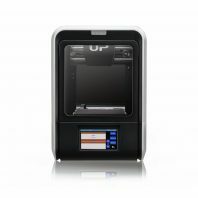 The UP Box features an enclosed build area, heated platform, 0.1-0.4mm layer resolution, automated platform levelling. 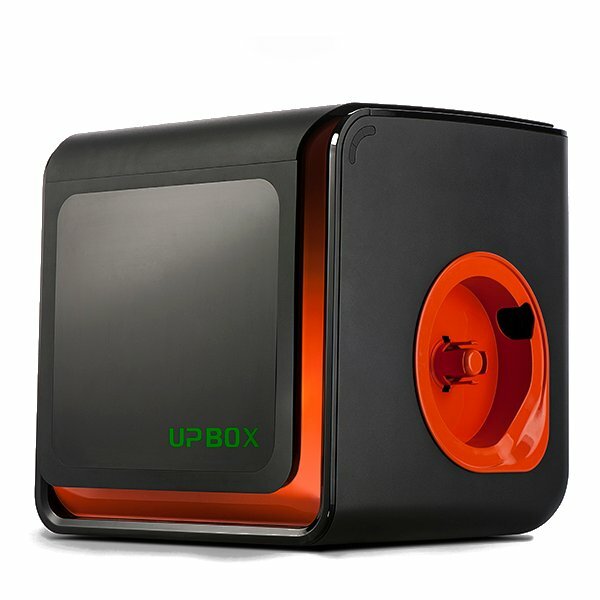 Why buy the Up box 3D printer? 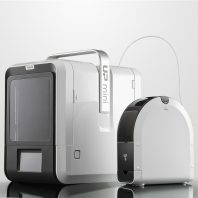 It has an enclosed build area like the UP mini 3d printer that help maintain the stability of the print environment, reducing extrusion inconsistencies, both within and across print jobs. 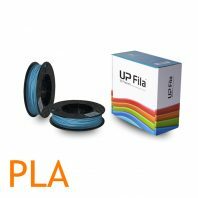 Compatible with the new UP300 interchangeable extruder heads optimised for different materials, PLA, ABS and TPU print heads are available. As with the UP! 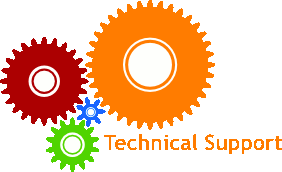 plus 2 it has fully automated platform calibration. The UPBOX has an integrated levelling probe for automatic platform levelling and nozzle height detection. 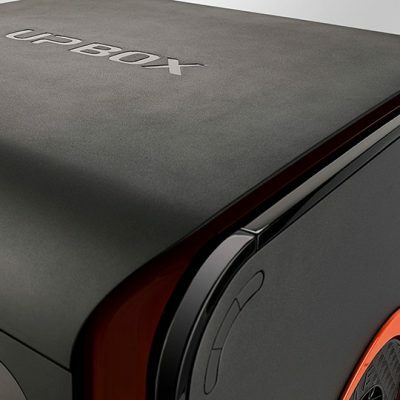 The result is that the UPBOX Plus can fully calibrate itself without human intervention. 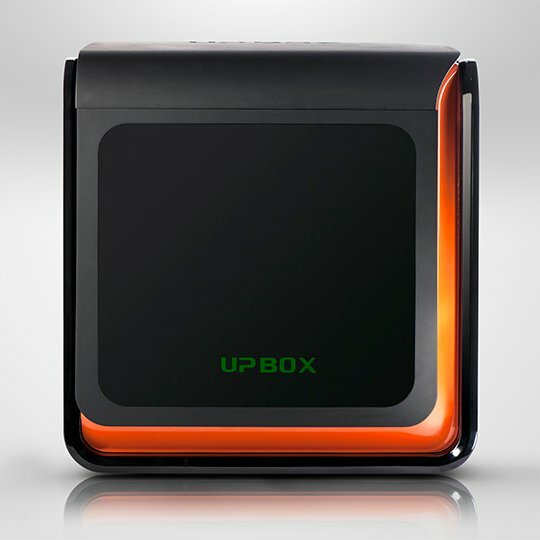 The UPBOX Plus prints up to 30% faster than the UP plus 2 3d printer. 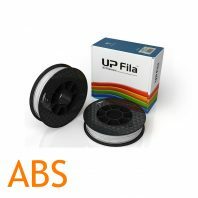 New ABS print surface improves model adhesion and so reduces warping when printing large 3D printables. The UPBOX Plus software now features enterprise level support generation algorithm is used to produce easily removable support structures. 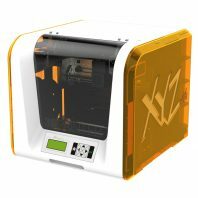 This not only improves the overall quality of the print but it also means that you can use the UPBOX Plus to print complex designs with ease. 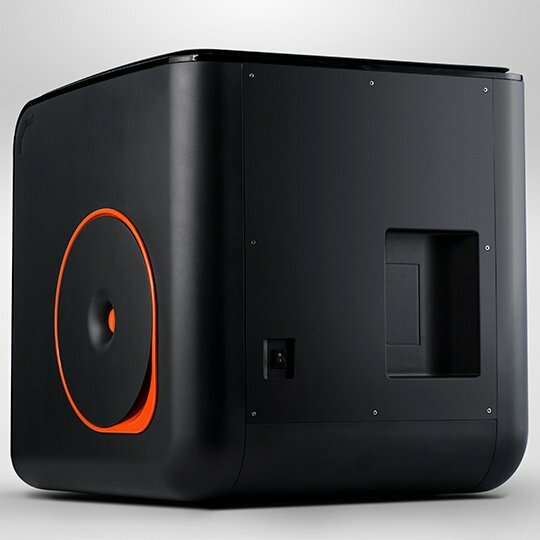 Tiertime, with the UPBOX Plus 3D printer, have also reduced the impact a 3D printer has on your office or classroom. 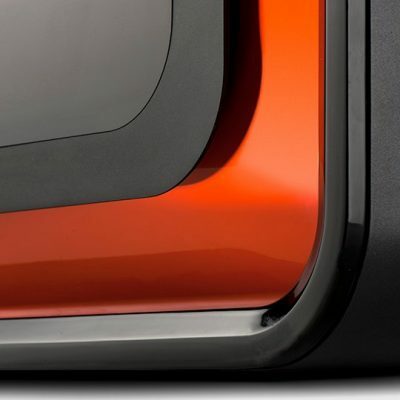 The UPBOX Plus produces very little noise and has a built in air filter that absorbs fumes and minimises odours. 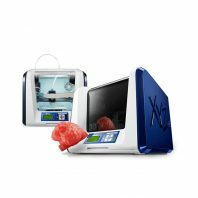 As with all UP desktop 3D printers is features the powerful UP Software package that is feature rich yet easy to use, suitable for the amateur or the professional. 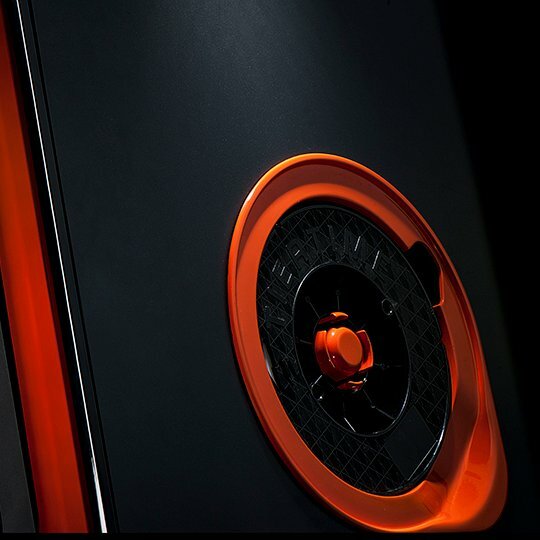 Variable print resolution from as fine as 0.1mm to up to 0.4mm. This gives great control especially when designing and refining creations. 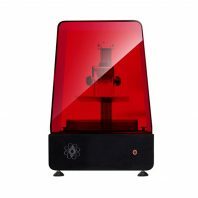 the 0.4mm resolution means you can print quick and dirty to get the measure of a design, the 0.1mm means you can print a refined final version. 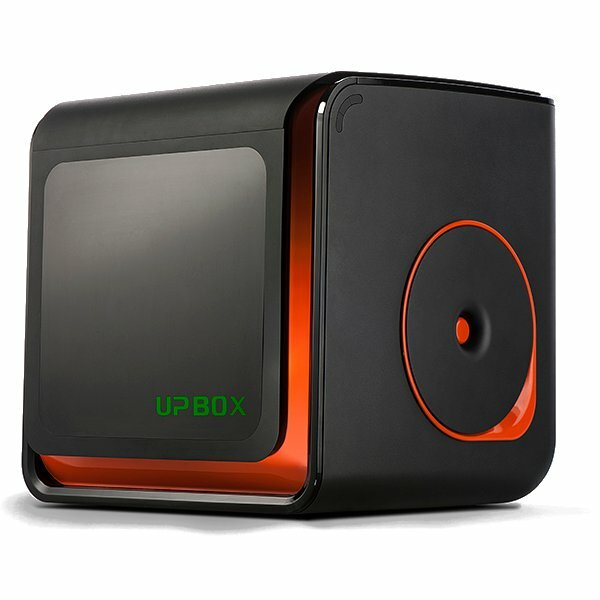 Wifi connectivity means you can connect to your UP Box Plus over your network using the UP Studio Software suite. 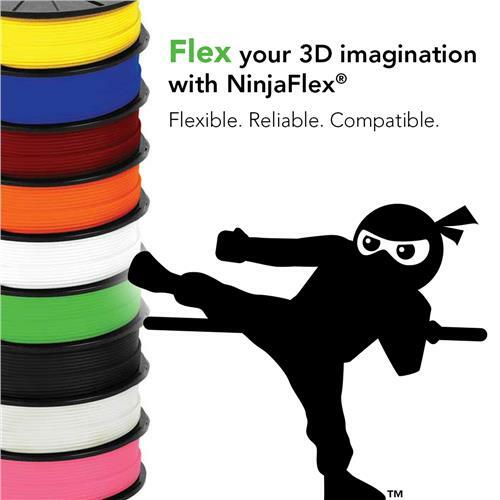 Optional upgrade to allow for use of 1kg as well as 500g Filament spools. We have had this printer for a couple of months now and it is performing really well. The consistency in quality is extremely good. Essentially we just press the print button and it comes out with the same quality each time. Very easy to use. 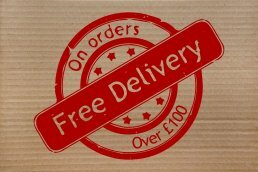 IDig3Dprinting were also great, quick delivery and they have always been very helpful with any questions we have had.